Wake. Breathe. Eat. Breathe. Move. Breathe. Think. Drink. Breathe. Sleep. Do it again. Did you breathe yet? I don’t know about you, but it’s this time of year, that I find that taking a moment is a daily challenge. 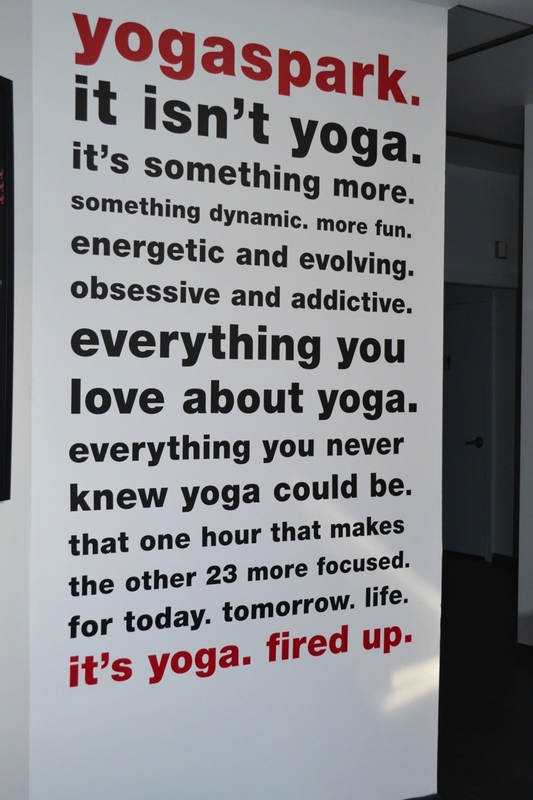 I have recently relied on going to hot power yoga classes as my respite for all the madness. The beauty of doing yoga is you can take it anywhere, you just need to use your limbs, limber or not. Yoga’s been around in one form or another for a really long time, so most of you by now know the benefits of doing yoga besides staying fit. The benefits are many. To name a few let’s start with the anti-aging properties. Warming the muscles lubricates the joints. Yoga enables the brain to learn poses through challenging moments and take those challenges off the mat. Yoga is knows to cure thousands of diseases. It gets your creative juices flowing. It travels easily. Did you say you’re getting on a plane? And, last but not least, improves your libido. Need I say more? It’s blood, sweat and tears–hold the blood, hold the tears. Whatever style or level of yoga you practice or are interested in trying, you will no doubt know that the pluses of yoga reach far beyond the sum of its parts. But first you need to start with the basics. Step #1. Follow a yogi. I started the journey with a fellow exercise enthusiast and friend, Jenny Glucksman, to a favorite yoga studio, Yoga Spark. I watched Jenny in action to see what she could do. I am not nearly as supple as her. As you can see, she’s flexible and strong and mastered every side plank and dancer pose with distinction. Step #2. Cease and desist my online shopping habit. Not happening so fast, that’s my crack. Step #3: Go out buy a yoga mat. A good mat is the only necessary prop. The desire to head over to the Lulu Lemon store in these crowds is so unappealing. I would so much rather shop Stella gym clothes from my laptop in PJ’s. 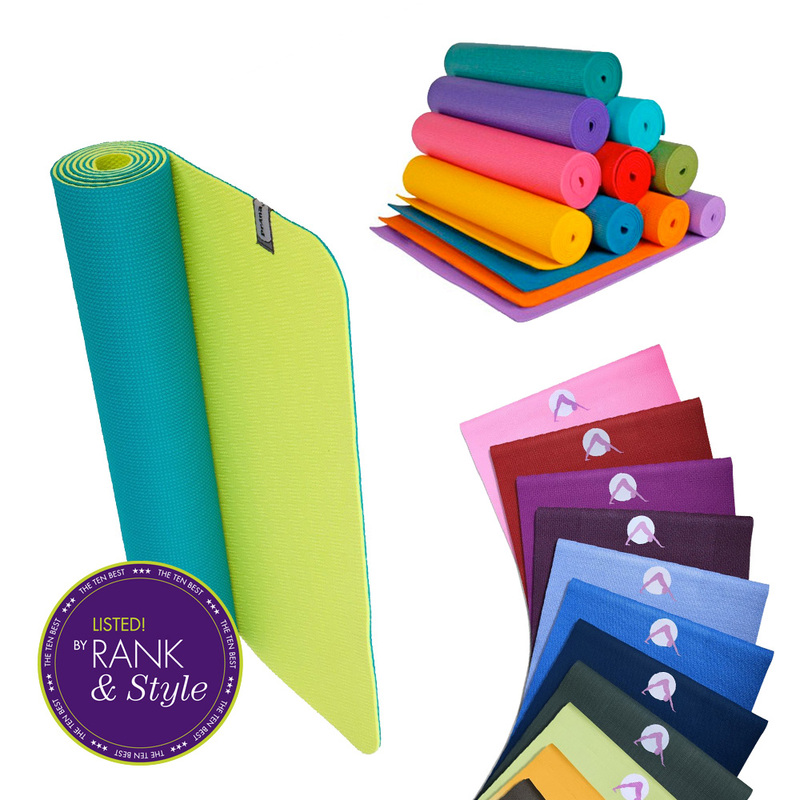 Don’t know which brand makes a sturdy, cool, cushioned yoga mat? Neither do I. Step #4. Sign up for Rank & Style. I am so overwhelmed with recommendations, I never get that yoga mat. Sound familiar? This is why I love a new web platform called Rank & Style. The smart women behind this website have developed an algorithm that literally pulls data from across the web including reviews, editor’s picks, blogger’s top picks, and a whole slew of other sources and spits out a list of the top 10 products in a given niche. So before you sit in that chair pose, here are the top 10 yoga mats. The best mats will have cushioned, long-lasting materials that protect your joints and don’t slip with your movements. Whether you are a yoga novice or a yogi with years of “flow” under your belt, click below for mats that are not only great for yourself, but a great gift idea too! Peep down below before you down dog to get the best mat out in the market. These are my top two favorites on the list. The Adidas by Stella McCartney mat, $75.00, and the Jade Harmony mat, $62.00. Sturdy fellows, they have both lasted me two years, are portable, and lightweight. 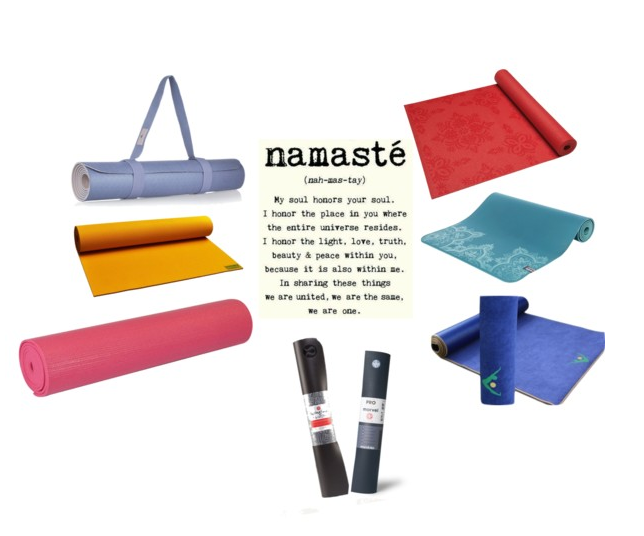 Yoga Accessories makes colorful mats and they’re only $18, the Gaiam mat is on sale for $20 — a total score, Prana Henna E.C.O yoga mat offers an earth conscious choice, Aurorae mats are on sale for $35.00 and are extra thick, The Big Mat is a LuLu Lemon favorite. My vote for the most practical and the most pricey is the Manduka Manduka yoga mat ringing in at $128.00. The Hugger Mugger is also on sale for $39.00 for a good basic and the prettiest mat goes to Sophie Leninger for the Magic Carpet mat. This list was created by Rank & Style, a new web and mobile platform that revolutionizes – and simplifies – how you shop online via unbiased, data-driven rankings of the ten best fashion and beauty items. This is not a sponsored post. Head over to Rank & Style and get yourself on their email list. I assure you, this is one newsletter you do not want to miss! Now that I’m sore this really works ~ OM. Have a Happy Thanksgiving in case I don’t see you on the mat, bike or out for a run before then.